Byron Thai Massage School’s courses are in small groups or personal tuition to suit varying needs and levels. For a taster, the 5-day Basic Thai Massage course is a good option. For a full professional qualification in massage, the 3-week intensive Thai Massage Practitioner Training is the way to go. On request, we offer personalised tuition, that is tailored to your needs and experience, of any of our classes, including an Advanced Thai Massage for graduates. 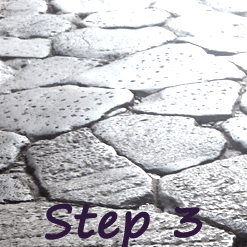 For Practitioner Training’s graduates only – Advanced techniques of your choice, at your own pace. Learn with a friend a Thai Massage program of your choice, at your own pace. 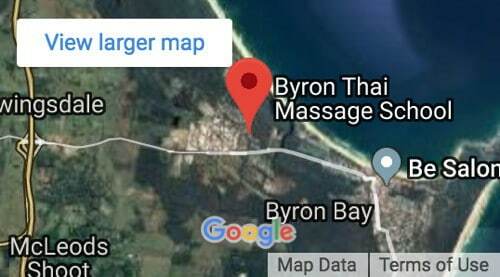 Our Thai Massage courses run in the iconic beach-side town of Byron Bay. Australia’s most Eastern point, Byron Bay is a mecca for alternative therapies, healthy lifestyle, yoga and surf. Be careful though, you might never want to leave! All our Thai Yoga Massage training courses and tuition are non-residential, and take place in a beautiful studio built for training small groups of up to 8. The studio is a lush space for practicing massage; with timber floors, cathedral ceiling, natural light, surrounded by greenery and birdsong. There is a kitchen to prepare your healthy meals and a bathroom. Outside we have a chill out space replete with couch, hammock and table where you can while away your lunch break. My intention as a Thai Massage teacher is to give others what i have: a job that keeps me fit and healthy and that gives me a great alternative lifestyle. So, I teach people a new skill in a very short time, which enables them to live healthy, balanced lives and work for themselves, if they choose to do so. At the end of my Thai Massage classes I want every student to leave as a capable, knowledgeable and empowered Thai Massage therapist. Quality and consistency does not exist in the industry today, so I aim to raise the bar with my training philosophy. Our trainings are non-residential. Please email Valentina to receive a list of local houses walking distance to the course, that offer affordable accommodation to students. Trainings are experience-based, giving students the practical skills and deeper felt sense required to perform the Thai Massage sequence in a flowing, safe and comfortable way for both practitioner and client. Small Classes are a max of 6 to 8 students, so you receive focused training and individual attention, which you simply don’t get in a large group. Using correct postural alignment, breath, core engagement, and the correct body mechanics, you will feel the healing benefits of TM, as much as the client will. to identify the similarities between Thai Massage and Yoga. You will be practicing on Thai Massage mats, that are properly made for Thai Massage to give the right resistance to your pressure (without loss of pressure like a futon), while having enough padding for your knees and ensure that the client is comfortable (unlike Yoga Mats used in many other courses). Mats are imported from Thailand and available for purchase at the completion of the course. Valentina's ability to sustain clarity, focus and momentum, while delivering so much information is engaging and facilitates an ease of learning. This sense of clarity carries through to her precision and attention to detail. Valentina is lucid, present and supportive with the students, plus her approach to assessment, flexible timetable and lunch hours is wonderful! I found the course to be thoroughly enjoyable & rewarding. I gained so much insight into the healing art of Thai Massage under the guidance & instruction of Valentina. She was with us every step of the way to offer advice & support. This, I feel, is a true credit to her teaching skills. I recommend the course to anyone willing to work hard + reap the benefits. I now feel that I can confidently take steps towards becoming a Thai massage practitioner. Morning Yoga is a great idea for preparation. This course delivers an enormous amount of information practically packaged to allow students to absorb, comprehend, understand and then practice in a safe way for both practitioner and client. Valentina’s attention for detail, patience and ready smile make, even difficult days, run smoothly. This course is definitely challenging both mentally and physically, but it is great value for money! Just wanted to share my deep appreciation to Valentina for being able to fulfill a dream of mine coming true. The course was everything I expected it to be + much more. As a teacher, she has the right stuff to get students enthusiastic & motivated. She is always looking for ways to improve the course & material, which, quite frankly provided me with all the tools I needed. Valentina is a lovely down to earth woman with the understanding and compassion needed when teaching a bunch of individuals with all their various requirements.